To be nominated, an individual must have received an associate degree or diploma from Delaware Technical Community College. Alumni are eligible for nomination seven years after graduation and must not be currently employed by Delaware Tech with the exception of adjunct instructors teaching no more than one course at the time of selection. Honorees are judged on the basis of their professional/career achievements related to their area of study, service to the College and its surrounding communities, leadership activities and reputation among colleagues, academic achievements beyond Delaware Tech and other significant contributions. 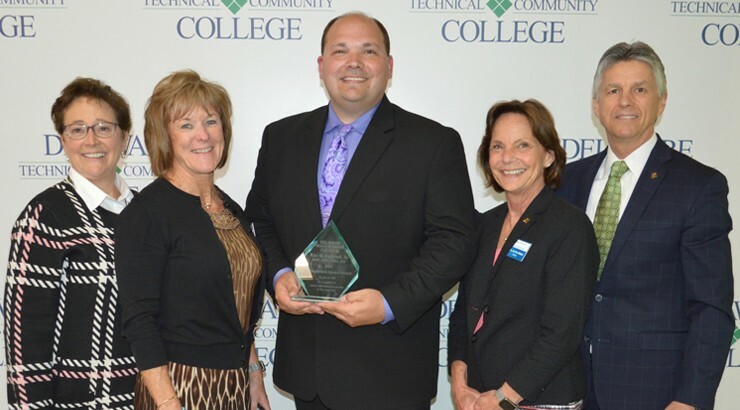 Dr. Ray Fulkrod Jr. has been selected as the recipient of the 2018 Distinguished Alumni Award for Delaware Technical Community College's Terry Campus. The award is presented annually to alumni in recognition of academic achievements, leadership, service, reputation, professional success, and contributions to Delaware Tech and the local community. Learn more about Dr. Ray Fulkrod Jr.